I wasn’t afraid to try this one, especially after trying the Pumpkin Cheesecake. Like it’s sister desert, this also tasted quite delicious. Both pumpkin cheesecakes (with or without the nuts) had a smooth silky taste with a sweet nut crunchy taste. 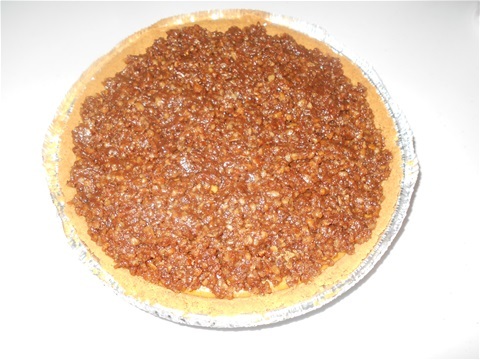 We choose to use Keebler® pie crusts as it’s more cost efficient for our customers to just use a pre-made pie crust. Another reason is because they come with pie lids for storing. The inside ingredients are, of course, made from scratch.